Your favourite little princess in training returns for more music, majesty and magical fun, so get ready to have a ball with Sofia the First! 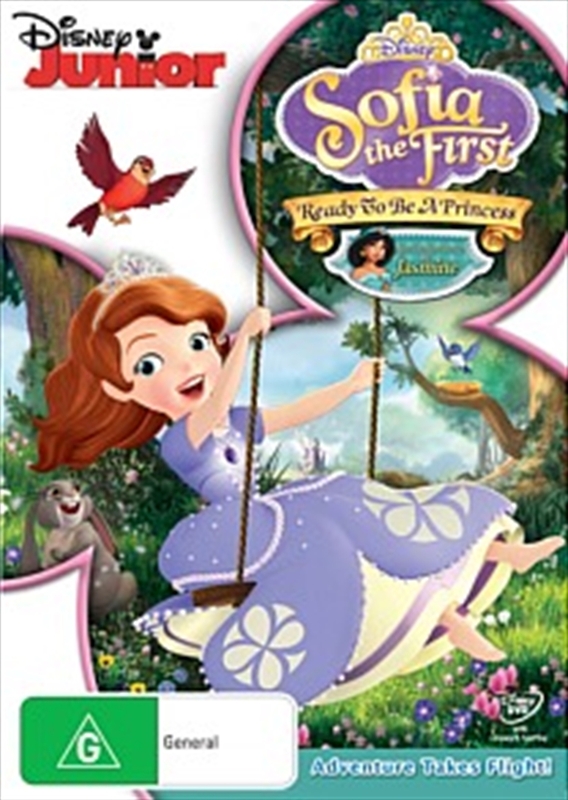 Becoming royalty overnight is every girl’s dream, and Sofia is eager to prove she can be a true princess. Visit an enchanted circus, meet a pet dragon and soar through desert skies with Sofia and Amber on a magic carpet ride! But when their high-flying adventure veers off course, it’s special guest Princess Jasmine to the rescue with inspiring advice about trying new things, staying strong and trusting yourself. Sparkling with extraordinary songs, unforgettable characters and thrilling surprises, Ready To Be A Princess opens the door to a whole new world of kindness, helping others and being the best you can be!